Body Dysmorphic Disorder (BDD) is characterized by preoccupation with perceived defects in physical appearance that are not observable to others. Little is known about BDD prevalence and phenomenology in the Italian context and no data are currently available on its prevalence and phenomenology as defined by the Diagnostic and Statistical Manual of Mental Disorders- Fifth Edition criteria in Italy. Furthermore, no Italian self-report questionnaires specifically assessing BDD phenomenology and its associated clinical features are currently available. Therefore, the current study aimed at developing and validating a new self-report questionnaire, the Questionario sul Dismorfismo Corporeo (QDC). Six hundred and fifteen community individuals from Northern, Central and Southern Italy (69.4% female) completed a battery of self-report questionnaires including the QDC and other measures aimed at assessing psychological and psychopathological features related to BDD (self-esteem, social anxiety, general distress, obsessive compulsive and eating disorders symptoms). The QDC demonstrated a single factor structure and excellent internal consistency. Moreover, the QDC showed excellent one-month test-retest reliability and a cut-off point of > 130. Finally, significant correlations were found between the QDC and associated psychological and psychopathological measures. Overall, results suggest that the QDC represents a reliable measure to assess BDD within the Italian context. American Psychiatric Association (1994). Diagnostic and Statistical Manual of Mental Disorders: 4th ed. (DSM-IV). Washington, DC: American Psychiatric Association. Dobson, C., Goudy, W. J., Keith, P. M., & Powers, E. (1979). Further analysis of Rosenberg’s self-esteem scale. Psychological Reports, 44, 639-641. Eberenz, K. P., & Gleaves, D. H. (1994). An examination of the internal consistency and factor structure of the eating disorder inventory‐2 in a clinical sample. International Journal of Eating Disorders, 16, 371-379. Fleming, J. S., & Courtney, B. E. (1984). The dimensionality of self-esteem: II. Hierarchical facet model for revised measurement scales. Journal of Personality and Social Psychology, 46, 404-421. Garner, D. M. (1991). Eating disorders inventory-2. Odessa, FL: Psychological Assessment Resources. Garner, D. M., & Olmsted, M. P. (1984). The eating disorder inventory manual. Odessa, FL: Psychological Assessment Resources. Lovibond, P. F., & Lovibond, S. H. (1995). Manual for the Depression Anxiety Stress Scales. Sydney: Sydney Psychology edition. Phillips, K. A. (2004). Body dysmorphic disorder: recognizing and treating imagined ugliness. World Psychiatry, 3, 12-17. Phillips, K. A. (2005). The Broken Mirror: Understanding and Treating Body Dysmorphic Disorder (revised and expanded ed). New York: Oxford University Press. Phillips, K. A. (2006). The presentation of body dysmorphic disorder in medical settings. Primary Psychiatry, 13, 51-59. Phillips, K. A., & Diaz, S. (1997). Gender differences in body dysmorphic disorder. The Journal of Nervous and Mental Disease, 185, 570–577. Phillips, K. A., Pinto, A., & Jain, S. (2004). Self-esteem in body dysmorphic disorder. Body image, 1, 385-390. Prezza, M., Trombaccia, F. R., & Armento, L. (1997). La scala dell’autostima di Rosenberg: Traduzione e validazione Italiana. Bollettino di Psicologia Applicata, 223, 35–44. Rizzardi, M., Trombini, E., & Trombini, G. (1995). EDI-2 – Eating Disorder Inventory-2, Manuale d’uso. Firenze: Organizzazioni Speciali. Robinson, J., Shaver, P., & Wrightsman, L. (1991). Measures of personality and social psychological attitudes (VI). San Diego, CA: Academic Press. Rosen, J. C., & Ramirez, E. (1998). A comparison of eating disorders and body dysmorphic disorder on body image and psychological adjustment. Journal of Psychosomatic Research, 44, 441-449. Sica, C., Musoni, I., Chiri, L. R., Bisi, B., Lolli, V., & Sighinolfi, C. (2007). Social Phobia Scale (SPS) and Social Interaction Anxiety Scale (SIAS): Italian translation and adaptation. Bollettino di Psicologia Applicata, 252, 59-71. Williams, J., Hadjistavropoulos, T., & Sharpe, D. (2006). 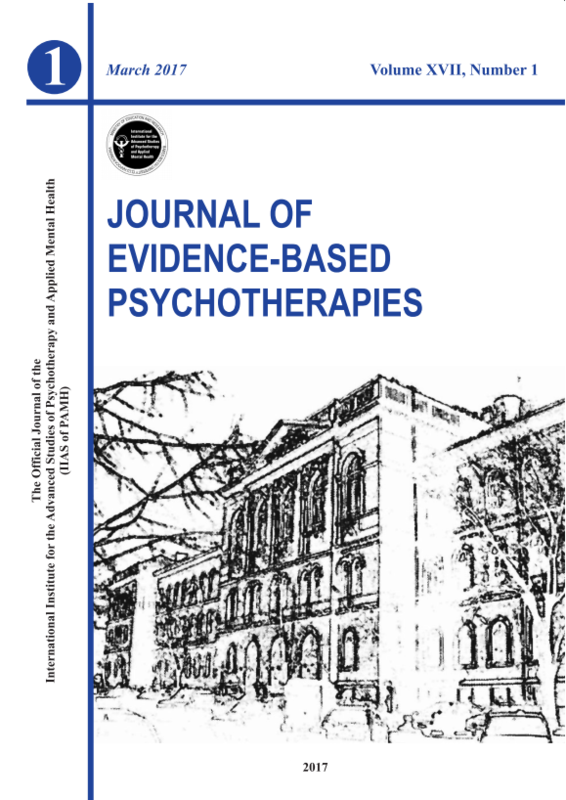 A meta-analysis of psychological and pharmacological treatments for body dysmorphic disorder. Behaviour Research and Therapy, 44, 99-111.